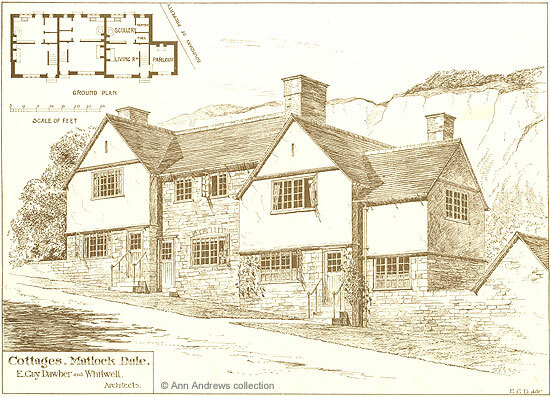 These Arts and Crafts style cottages in Matlock Dale, close to the bottom of St. John's Road, were designed by the architect Sir Guy Dawber in 1899. About two years before this Dawber had designed St. John's chapel of ease for Mrs. Harris, who lived at The Rocks. 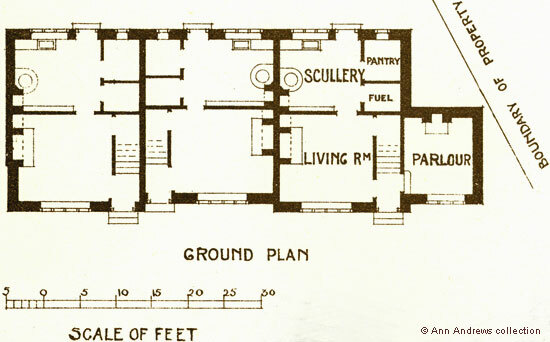 Enlargement of ground floor plan shown in the top left hand corner. Cottages. Matlock Dale. E. Guy Dawber and Whitwell. Architects. Photo Lithographer & Printed by James Akerman, 6 Queen Square, W.C.